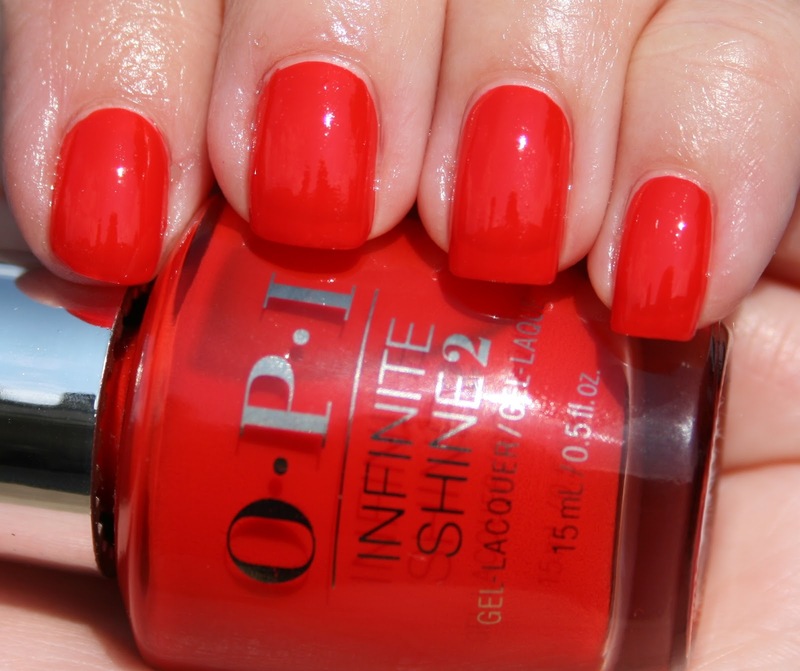 For this mani, I used all three steps of the OPI Infinite Shine Gel Effects Lacquer System, and then topped it with my quick dry topcoat, NYC Grand Central Station. I have tried the system before without an added quick dry topcoat, and I didn't find that I got very good wear from it- I would get chips pretty quickly. Once I added NYC GSC, I got much better wear! Infinite Shine Lacquer delivers ultra-rich, vivid color in unique OPI shades. Is an innovative service option for manicures, pedicures and enhancements.